ALONG WITH THE GODS: THE TWO WORLDS has set unprecedented records during its opening weekend in Korean theaters. The movie opened on 20 December and has earned $36 million by crossing 4.76 million admissions mark over its opening six day run. This incredible feat is 1 day shorter than lead Ha Jung Woo’s Assassination & Hollywood blockbuster, The Avengers: Age of Ultron, and 6 days shorter than winter season’s record holder Ode to My Father, which accumulated over 14 million admissions in total. It also set the highest one day admissions record in 2017 with 1.25 million on December 24, surpassing same year’s box office, A Taxi Driver. 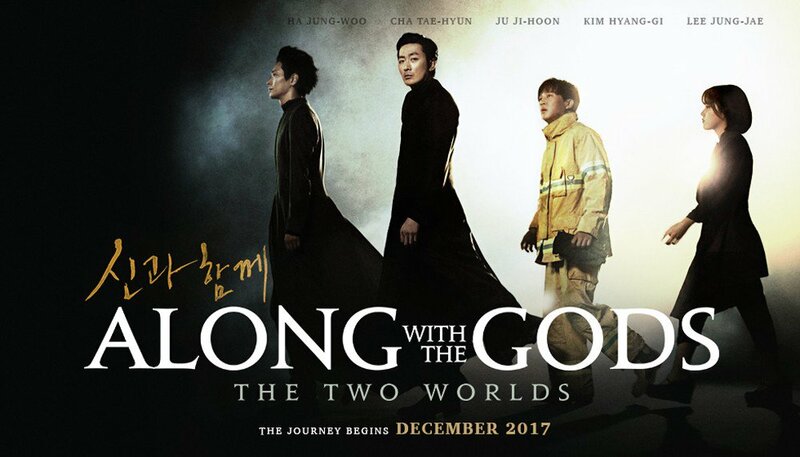 ALONG WITH THE GODS: THE TWO WORLDS continues to set phenomenal results as in just 16 days of release, it has already exceeded 10 million moviegoers making them the second fastest Korean movie to reach this milestone after Roaring Currents. It also ranked #1 in Taiwanese box office in its opening weekend even when it was going against blockbuster Star Wars and The Greatest Showman. The movie has been opened in Indonesia cinemas; Cinemaxx Theater, CGV Cinema, and Flix Cinema on 5 January 2018. The movie, which is starred by Cha Tae Hyun, Ha Jung Woo, Joo Ji Hoon, Kim Hyang Gi, Lee Jung Jae, and Do Kyungsoo (EXO‘s DO), itself tells story about firefighter, Ja Hong, who was died unexpectedly and taken to the afterlife by three guardians, where only after passing seven trials and proving he lived a noble life, will he be able to reincarnate. Based on the wildly popular webtoon, ALONG WITH THE GODS: THE TWO WORLDS is a star studded, action packed fantasy epic about life, death, rebirth, and the unseen forces that guide us through all.